High performance and great looks at a budget-friendly price – that’s the Cube Tower Mixer! 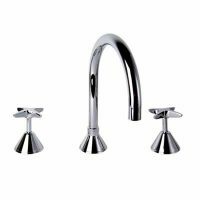 This quality bathroom tapware boasts superior performance and features a trendy, modern design. It is suitable for use in standard Australian bathroom basins and has been designed for easy installation. The Cube Tower Mixer is available in a brilliant chrome finish. 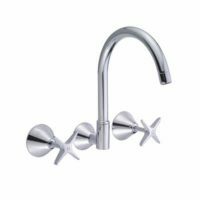 It consists of the main tap and an easy to grip and operate lever handle. All parts of the tap body are manufactured using solid brass construction, making it highly sturdy and durable. The internals also features quality ceramic disc mixer cartridges. 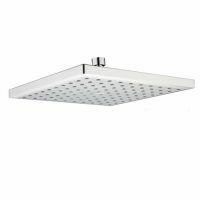 These offer excellent control over the temperature and flow of water. The Cube Tower Mixer is a WELS approved product and is rated as 4-stars. It has a water flow rating of 7.5 litres per minute, far better than standard bathroom basin taps. This tap is backed by various manufacturers’ guarantees, which cover tap body, internals, and the finish. This mixer tap is built to last several years of heavy bathroom usage. So, enhance the looks and the performance of your bathroom basin with the Cube Tower Mixer. Buy your bathroom tapware at an incredible price only from Ross’s Discount Home Centre!